Pathaneer (juice extracted from palm) has low-fat, low calorific value (396 for 100 gms) and rich nutritive value.This sweet beverage,white palm-sap,is rich in Calcium (58.7%mg) and very good for growing kids.Pathaneer tastes very sweet too. Take a big-Microwave bowl and add raw-rice, pathaneer, red-Cowpeas and salt. Mix well. Microwave this on high for about 20 mins. Take the bowl out and add the grated coconut and the crushed cashews and raisins and microwave this on high for 20 mins, stirring every 5 mins. Transfer this Sweet Porridge into serving bowls and serve this hot or chilled. 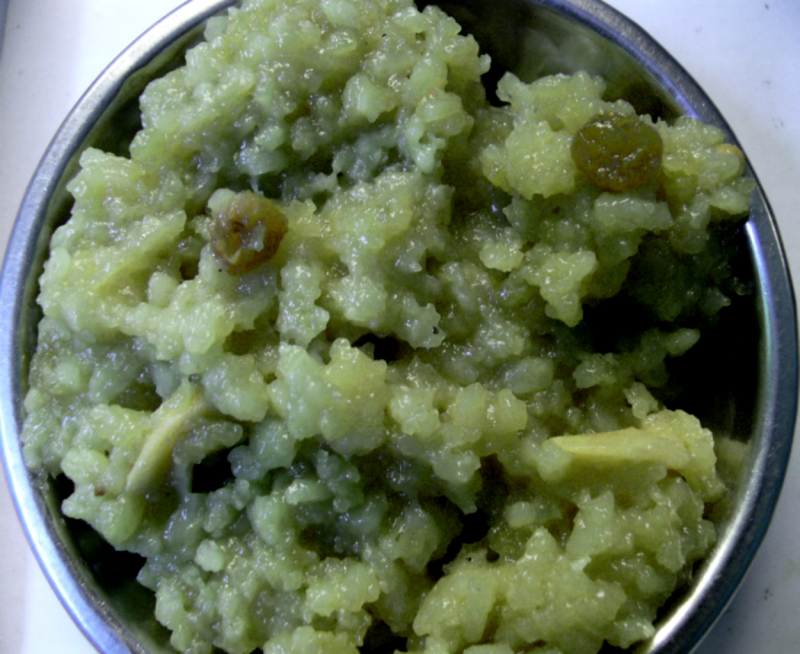 (This Porridge is called 'Sweet' because the pathaneer gives required sweetness to this dish, even without adding sugar). Note:Pathaneer,at initial stages(when collected) does not ferment (non- alcoholic) and tastes very sweet. As time goes by, it ferments and becomes alcoholic and tastes sour (Kallu) and therefore use fresh pathaneer to try this recipe. Thank U . I would like to know if Pathaneer nd Pannam velam are one nd d same ?